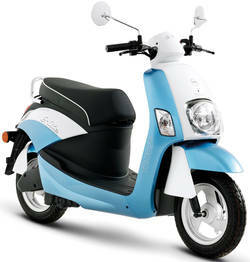 On July 6th, we will pick a lucky owner of a Lenta ticket that will take home a brand new electric scooter. Besides all benefits and discount that the Lenta tickets brings you, you also have a chance to take part in a prize game in which one of you will become a proud owner of a new electric scooter Tomos E lite, donated by the company E Prihodnost d.o.o. And what do you have to do? When you purchase a Lenta ticket (or pick it up with a voucher from June 17 onwards) you will also receive a coupon, which you have to fill out and put in a box at one of the sales points. The drawing will be held on the last day of the festival, July 6th, at the Central stage at the Drava river. Coupons can be submitted until the last day of the festival. More about Lenta ticket and the benefits it brings you at: http://www.festival-lent.si/fileadmin/dokumenti/Terms_and_conditions_of_participation_in_the_competition.pdf. Terms and conditions of participation in competition.